pper claims any benefit under quantity based goods. So the responsibility of declaring correct weight is vested with the shipper. Maintaining Stability of the ship while loading containers plays an important role in safety of all cargo in a cargo ship. The cargo is stowed with heavy weight containers on deck or under deck and lighter containers upwards. So 14 tons container will be under 12 tons container and so on. 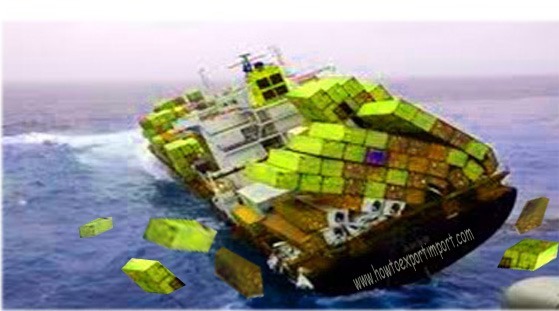 If 12 tons container’s actual weight is 15 tons it effects the stability of the ship in turn the whole containers of ship. The loading equipment may get damaged and results accidents based on the said wrong information on weight. As per my experience during career, there was a study case on wrong declaration of weight. The declared weight in packing list and shipping bills was 16.5 tons (which is the safe weight instructed by carrier to move the cargo to US ports). 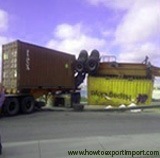 The container has been caught on the highway on transit to inland destination of US due to overweight. The container has been actually weighed and found the actual cargo weight is 26 tons! Compare the difference. It was more than 50% variation!. So you can follow the consequences on stability of ship, if this container is under 17 tons actual weight container which is loaded under this container. In spite of several precautions taken by the authorities to control these cases, the wrong declaration of weight continues by the shipper to save overweight charges. However, the recent steps taken by the authorities of various countries minimize such cases as the penal charges imposing is too heavy, by taking in to consideration on the seriousness of consequences. The over weight cargo leads serious accidents which threatens the lives of innocent crew, working at various locations apart from docks. Shippers may brush up your mind, while declaring wrong weight - you are saving little money against the huge loss of wealth or lives of others! Also click here to read Consequences of wrong declaration of weight – Part 2. Did you like this article. Discuss. Consequences of wrong declaration of weight &ndash; Part 2. Thomas: On 20 February 2013 Excellent Article. Great. ROY: On 08 May 2013 Dear sir, I gone through your all articles, it is very usefull for those who is working in import export trade. simple language with good example is your speciality. i have added in my favorite list. Dane: On 11 May 2013 Very nice with your word "Shippers may brush up your mind, while declaring wrong weight - you are saving little money against the huge loss of wealth or lives of others!" Good article! Anil Kumar: On 01 November 2013 Dear Sir, I am going through articles in your website and found them very useful especially who are import / export career. Many thanks for this work. Subhadip: On 06 November 2013 dear Sir, it is very useful site for those who are in this trade. Thanks a lot for your effort. It really provides a lot of information regarding exp/imp. Anil: On 13 January 2014 hi Very useful article. Rahman: On 12 June 2014 It is very helpful article for those who are already in this trade and for those also who wish to come in this trade in near future. Way to find chargeable weigh with example?